season looking back in November. as the Phils and Nats paid tribute a month belatedly. does that still mean they’re underrated? literally and figuratively. This dude needs a catchy fan club name quickly. money to visit the Bronx because I heard tickets aren’t cheap. away resulted in the Reds first sellout since Opening Day. 7:13: So much for Chan Ho continuing his success from Sunday. A 2-run homer by Daniel Murphy gives the Muts a quick lead. 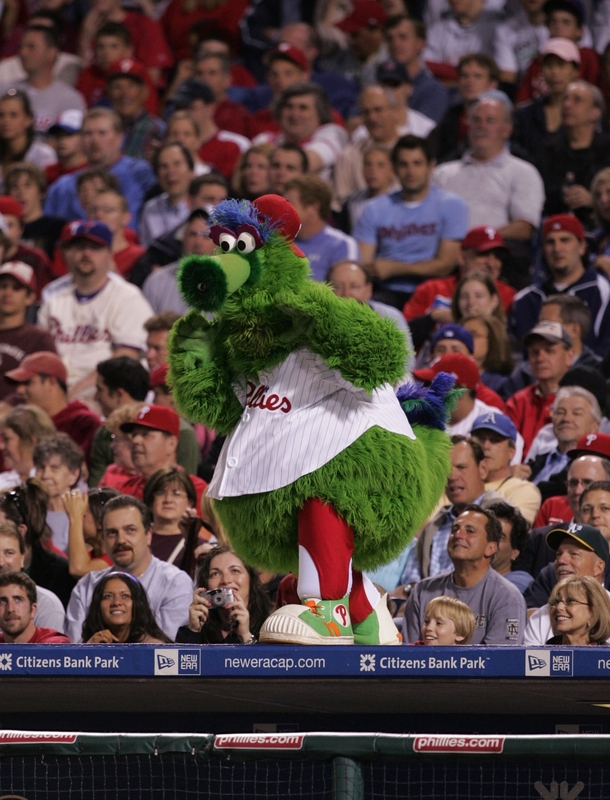 7:20: After a strike finally crosses the plate, the fans at sold-out CBP give Park a Bronx cheer. Shortly thereafter, Ryan Church grounds into an inning-ending 3-6-1 double play! I thought the bullpen was going to be active super early for a moment. 7:33: Werth grounds out stranding Chase 90 feet away. Still 2-0 Muts. Let’s go Chan Ho! 7:38: This….is….ridiculous. Chan Ho is not a starting pitcher in the Major Leagues. I don’t care if his ego takes a hit; he needs to be replaced by Happ. Fernando Tatis (one-year wonder in St. Louis and Omir Santos (who?) get singles to start the inning before Pelfrey is a foot away from going yard on a hanging breaking ball. Jose Reyes follows with another sacrifice fly. 4-0 Muts. 7:45: Well, this deficit only means another comeback is in order to add to 9 already in 11 victories. 7:48: Park is greeted by boos as he promptly flies out to end the 2nd. At least I’m not in total shock with Chan Ho’s effort (or lack thereof). 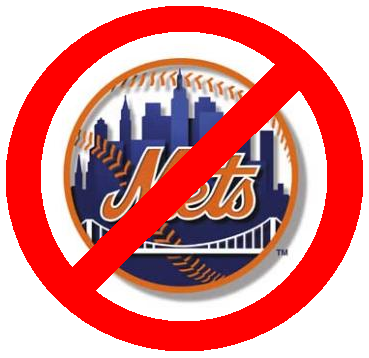 I picked the Mets to win tonight over on The “Mc” Effect. Check out his blog on the resurgent Pirates. 7:54: The Phillies bullpen is still quiet with 2nd and 3rd and no out after Wright doubles. Even with an day off yesterday, the relievers have been overused recently. But you can’t concede a game to the Mets this early and that’s what you’re doing with Chan Ho on the mound. 8:00: Sac Fly #3 of the night. Beltran just beats a laser from Werth in right. 5-0 Muts, middle of the 3rd. It could be worse….I feel Pelfrey about to get roughed up by the top of the order. 8:07: Pelfrey makes the 1st error of his career (quite impressive for over 300 innings pitched) on a wild pickoff throw to 1st. Utley walks. Howard flies out to left. Werth walks loading up the bases for Rauuuuuuuul Ibanez! He’s been up in this situation recently hitting a grand slam on Monday in the 8th to beat the Nats. 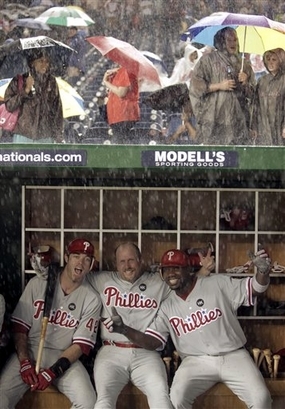 It was the 4th time in team history the Phillies hit 2 grand slams in the same game; Howard hit the first. 8:16: And Rauuuuuul slices a 2 RBI single into left center. Fans could not have asked for a better start to the season from the new LF. 8:18: Pedro Feliz hits an RBI single! 5-3 Muts as Coste grounds out to end the 3rd. 8:27: Park retires Reyes, Cora, and Murphy in order in the 4th. Is he settling into a groove? 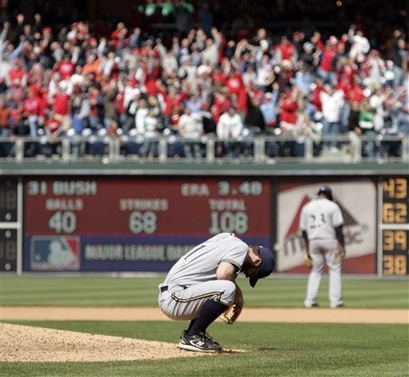 Probably not, but at least the bullpen didn’t have to rescue him ridiculously early. 8:38: April was not a good month for J-Roll. He only had 1 stolen base, mainly because he’s batting .202 and hasn’t been on base enough to steal. He just got caught stealing and Victorino grounds out. End of 4: Muts 5-3. 8:42: Chan Ho doesn’t settle into grooves, but you already knew that. Wright gets one back for the Mets singling in Beltran, who doubled to lead off the 5th. 8:46: What was with the criticism with Ibanez’ defense? Reporters were saying he wasn’t much of an upgrade over Burrell. I call BS. There seems to be at least one player per game he makes that I find my self thinking, “No way Pat catches that.” He just made a pretty sliding catch in left center on Ryan Church. 8:50: Tatis doubles and Chan Ho can’t make it out of the 5th (live blogging a Chan Ho start was a terrible idea, in hindsight). 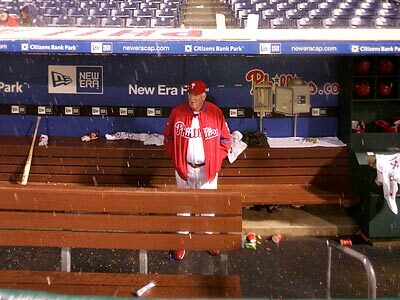 He doesn’t have a decision in 3 starts, yet the Phillies have won all 3 games. Hopefully the trend will continue tonight. 8:54: Aww, c’mon Chad Durbin. This isn’t relief. Pelfrey, an .074 hitter, bloops an RBI single into right. 7-3 Muts. 9:05: Not much doing in the bottom of the 5th. Last Friday, the Phils trailed Florida 3-0 until the 9th and destroyed closer Matt Lindstrom’s pitching led by Victorino’s grand salami. Tonight, Frankie Rodriguez would be the 9th inning man — a little more experienced in closing out ballgames, so it’s pretty important to get the lead beforehand. 9:14: Durbin sustains no damage as he plows through the meat of the Muts. Delgado is not playing tonight due to a sore hip. 9:22: Ugh, the Phillies broadcast is having problems on mlb.tv, so I’m forced to watch and listen to the Mets announcers on SNY. They just pointed out a nice stat though. The Mets are 0-10 trailing after 7, while the Phils are 4-6. Plenty of baseball to be played. 9:28: Coste got thrown out at home in the 6th, but I missed it because of mlb.tv. 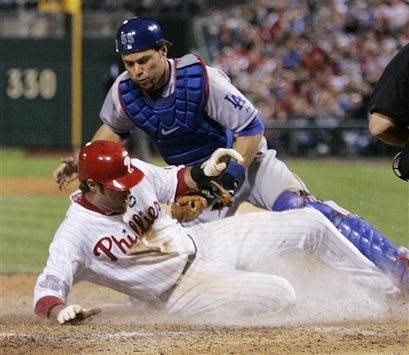 9:31: Utley committed just the 4th TEAM error of the year and the 1st in 12 games. Impressive…. 9:35: J.A. Happ? How can I campaign for you to be the 5th starter when you walk reliever Pedro Felicano — 0 for 6 lifetime?? 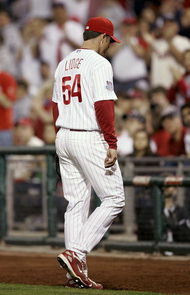 Phils announcer Chris Wheeler says, “A lot of ugliness here tonight…not a pretty game.” You can say that again. 7-3 Muts, middle 7. 9:40: ATTA BOY CHASE! Solo shot to lead off the inning! The short, compact swing is a sight to behold. 9:45: Unfortunately, Howard, Werth, and Ibanez can’t add on. 7-4 Muts after 7. 9:51: Happ = 2 innings of no-hit relief, just the one brain freeze walk to Feliciano. My case stands in terms of him joining the rotation. J.J. Putz coming on in the 8th….sounds like some runs! 10:09: J-Roll gets out on a broken bat jam job pop-up to shallow right. 10:12: Shane couldn’t lay off the slurve in the dirt. Two away. 10:16: Chase draws a walk. K-Rod is struggling with his control, but J-Roll and Victorino helped him out by swinging at some balls. 10:19: Howard chases ball 4 that bounces in front of the plate. Muts 7, Phillies 4.
of a routine that pitchers are used to. season-ticket holders, so he can’t be too bad of a guy. services unlike this next example. April Showers Bring May…..Power Numbers? deficits HAVE to be averted though. We must lead MLB in this category! field for his first dinger of ’09. leaning toward heading back to 1st. up to his wife, Heidi, and him adopting an orphan from Africa, though. the East Coast Sunday games start at 10 a.m. = Heaven. summer, I look forward to getting nice tickets at an affordable price. seems to only go noticed when there is a bad call or fluke injury. Walkin’ Off in Style: Rauuuul! a home run into the first row in right. 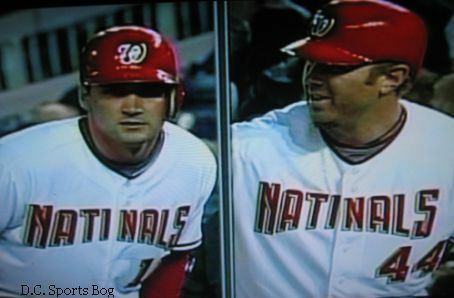 Brian and Marcus Giles paired up for a season in 2007.
watching the big boy motor around the bases is something else. is still not set in stone by any means. days (2 against us…grr), so Bud Black turned to Edwin Moreno to save the game. turns 31! Happy birthday buddy! You’re aging well. the series to Pittsburgh, 2-1. Have a phantastic evening everyone!